The Caribbean lures many visitors with promises of pristine, white beaches, warm sunny days of relaxation, and great adventures in a tropical environment. In the Dominican Republic, visitors can explore both the highest peak and lowest point in the Caribbean. Dominica offers some of the area’s best hiking and nature site-seeing. Jamaica is a popular vacation destination in the Caribbean because it is so different from the rest of the islands, with its African-influenced culture. Travelers in Turks and Caicos find themselves immersed in historic towns and villages that capture the imagination. When packing for a vacation in the Caribbean, visitors interested in responsible tourism can make a difference by planning to donate to one of the non-profit groups in area. There are many non-profits and service organizations working to improve the community education and wellness in the Caribbean. 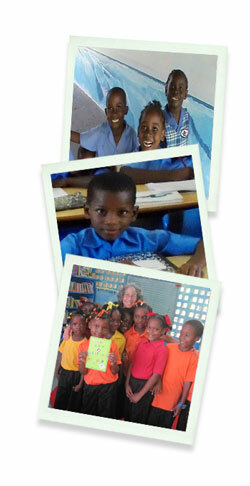 In the Dominican Republic, voluntourists can donate school supplies to local primary schools and high schools. Visitors interested in helping wellness service projects can donate to the Veron Clinic. This clinic works to improve the health conditions of underserved people in the surrounding area. Voluntourists interested in help a community in Dominica can donate school supplies and books to the “Open Books, Open Minds – Leave a Book Behind” initiative; this group supports three primary schools in the country. One of the major groups in Jamaica and in Turks and Caicos that accepts the support of tourists is the Sandals Foundation. They work to provide support, teacher training, instructional needs, and donated school supplies to local education facilities.